The vision of the University of KwaZulu-Natal is to be “the premier university of African scholarship”. 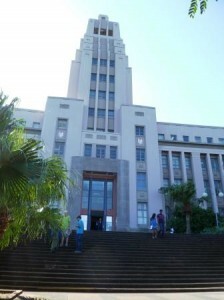 A total of 40,037 students registered for study at UKZN in 2010. Of these, 59% were women and 79% were undergraduates. The University employs more than 4,000 academic and support staff and confers around 8,000 degrees and certificates every year. The University prides itself on being one of South Africa’s leading research institutions, with significant publications output. In 2008, 155 researchers who had submitted themselves to evaluation by their disciplinary peers nationally and internationally were successfully rated and recognised for the impact that their work had not only in South Africa but also worldwide. 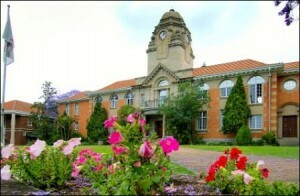 A key supporting role is played by the University of KwaZulu-Natal Foundation. In its development function, it establishes projects that, on the one hand, advance the interests of the University, and on the other, respond to the critical development needs of the African continent. It also processes hundreds of donations and grants from individuals and organisations in any particular year. This demonstrates a confidence in the various programmes and projects developed by UKZN and assures grant makers and individual donors that their investment will be carefully managed. Please go to www.ukznfoundation.org for further information. The site also has details of the Alumnus Association in the UK. Alumni in the UK should please inform the Trust or the Alumni Relations office of any changes of address. Not only will this help the Trust, the University and other alumni to keep in touch, it will also save costs from wasted postage. Please remember to provide your e-mail address too.